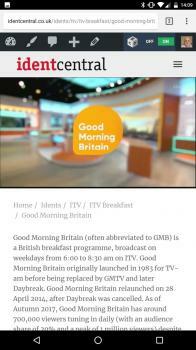 As you've probably heard by now, updates to TV Live come to an end on May 26th. 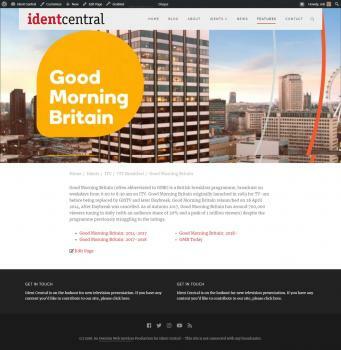 Work is well underway on building the new site called Ident Central, which should launch on June 1st. The new site will make it easier for us to update and add new presentation as and when necessary, and resolve the many issues we've had with the site over the last few months. 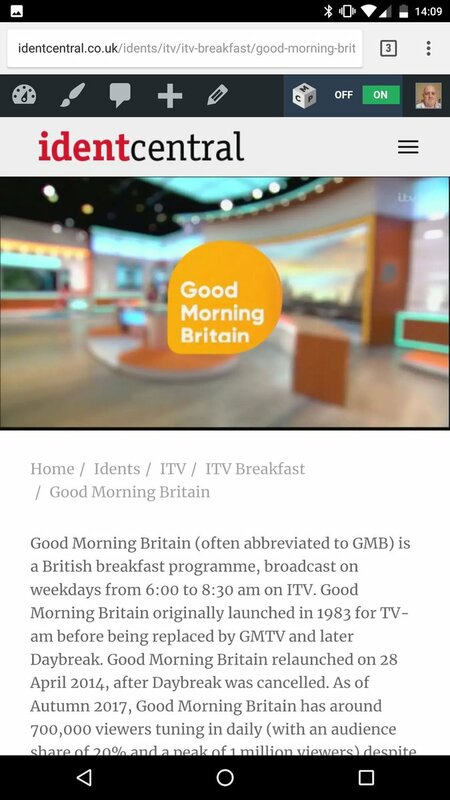 I've earmarked June 1st for the launch of the new site, and TV Live will remain online until we have the bulk of the content over on our new site. 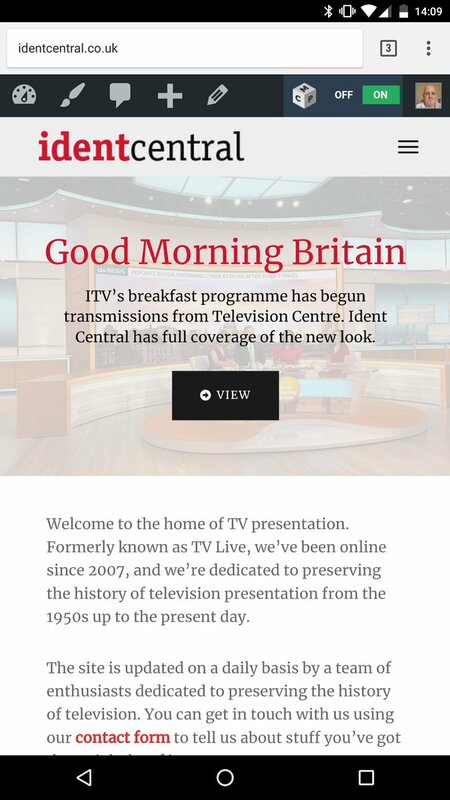 I've been a fan of TV Live for years, hoping I'll like the revamped Ident Central even better! I've taken the decision to delay the launch of Ident Central. I now hope to have the site online on June 11th. I apologise for the delay, this is due to an increased workload making it impossible to get things done on the website. The website design looks good! 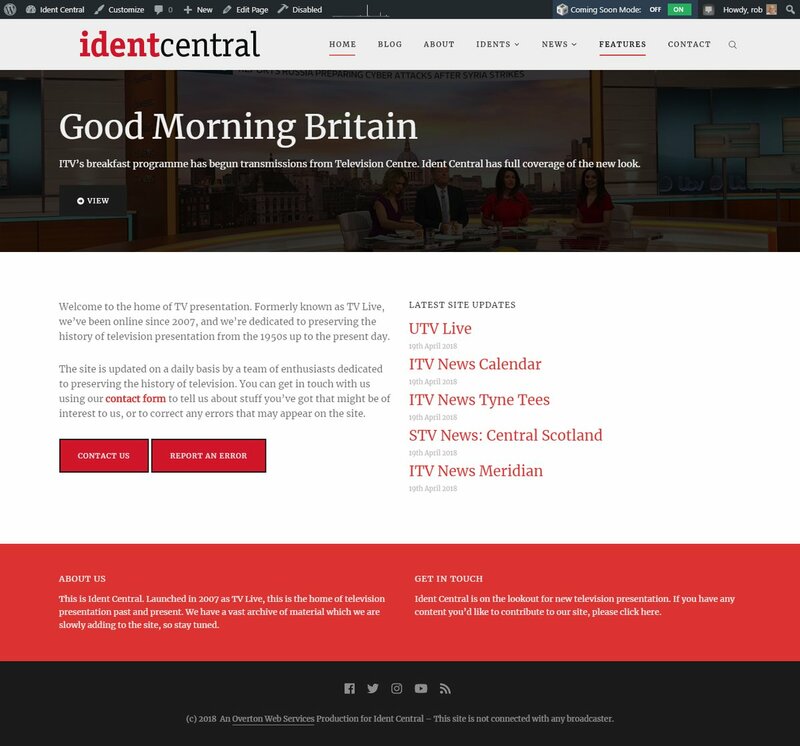 Ident Central will be going live tomorrow. You'll need to know that not every page is ready. I'm working hard to restore as many pages as possible as quickly as I can. Ident Central is now online. There's some never before seen images of Associated Rediffusion presentation on the site courtesy of my friends at Transdiffusion. Congratulations on the launch Rob! They couldn't have made the images larger if they tried, could they? Download them and there will be bigger...Any other problems??? It's 2018 and you're moaning about large images. A lot of modern web designs use large images, there's a zoom button in Chrome.